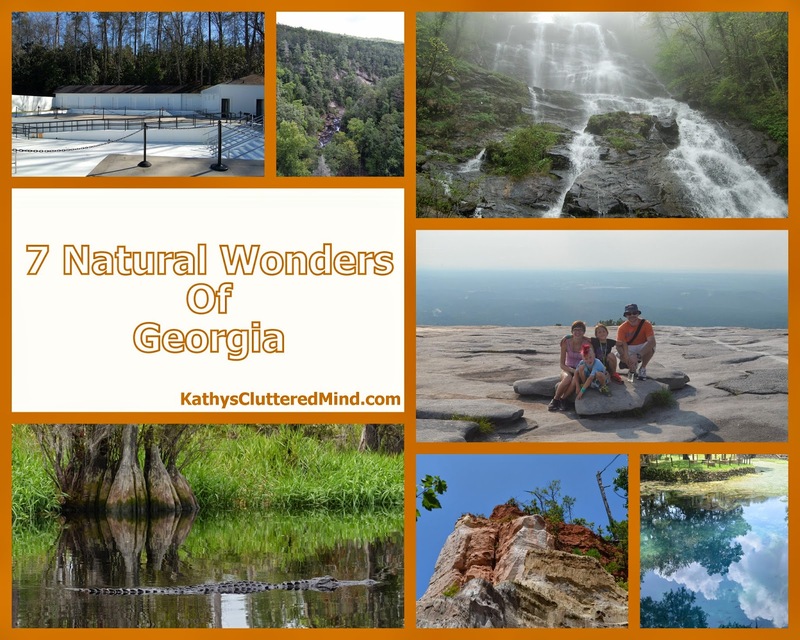 Did you know that Georgia has 7 natural wonders? Well one of our goals this summer was to visit the remaining natural wonders on our list. If you're wondering how these seven were chosen from all of Georgia's fabulous natural resources, check out the New Georgia Encyclopedia's article about the history of the select seven. So in no particular order here are the 7 natural wonders along with some photos and details. 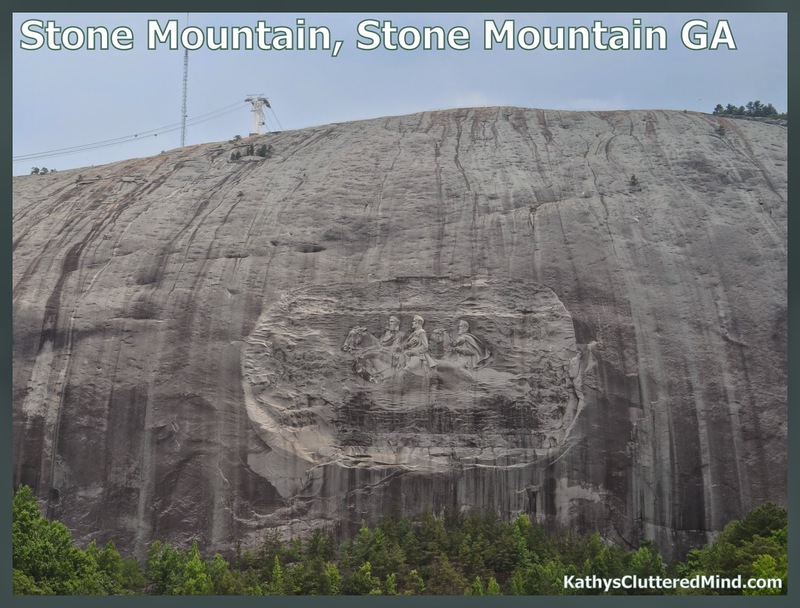 1) Stone Mountain - Ten miles northeast of Atlanta is the largest exposed mass of granite in the world. Stone Mountain Park is 3,200 acres of natural beauty and offers visitors a variety of family friendly activities and seasonal events. One of the activities is a trip to the top of this amazing natural wonder. You can get there by taking a 1 mile hike up one of the sides of the mountain or by sky lift. 2) Okefenokee Swamp - At the very bottom of Georgia (near the Florida/Georgia state line) you will discover the largest swamp in North America. The swamp was named by the Native Americans and means "land of the trembling earth," so be careful where you step! This oasis can be accessed at two points Stephen C. Foster State Park is on the West and Folkston is on the East. The majority of the swamp is a National Wildlife Refuge which makes it the it a wildlife paradise. Rent a boat or take a ranger led boat tour through the black swamp to experience everything this 402,000-acre refuge has to offer. 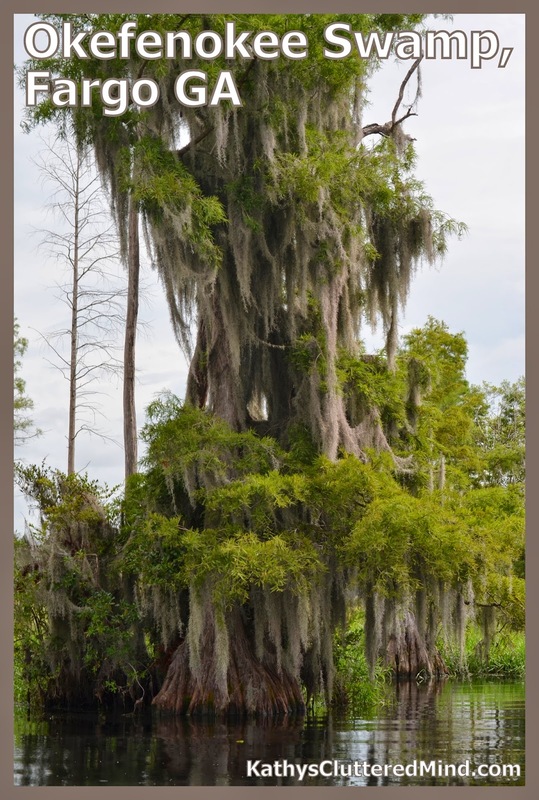 Some of the flora and fauna you will encounter include beautiful Spanish moss-laced cypress trees, alligators at every turn, bobbing turtles, black bears and deer romping through the woods and ibis and herons flying overhead. At night you can experience some of the best stargazing in Georgia. If you are weary of a boat ride there are several amazing trails at Stephen C. Foster including a 2,100 boardwalk trail that provide breathtaking views of the park as well. 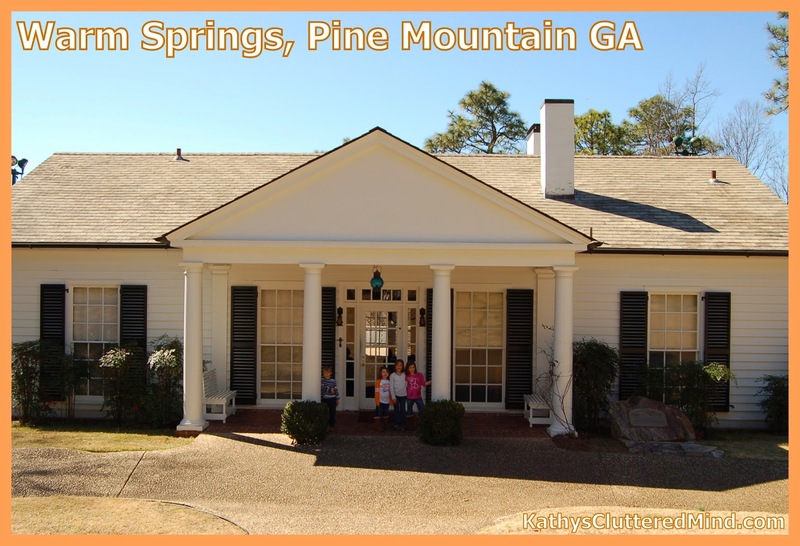 3) Warm Springs - You will find the healing waters of Warm Springs in Pine Mountain, Georgia. This area became internationally known when president Franklin Delano Roosevelt built a home, known as the Little White House, there so he could be closer to the spring. The spring provided relief for many people who suffered from polio in the early 1900's. To experience the 88 degree water for yourself visit the Historic Pools Museum or the Liberty Bell Pool (both operated by Georgia State Parks). For more information about this area visit the FDR/Warm Springs Welcome Center. You can visit FDR's residence, the Little White House, and his favorite picnic spot at F.D. Roosevelt State Park. 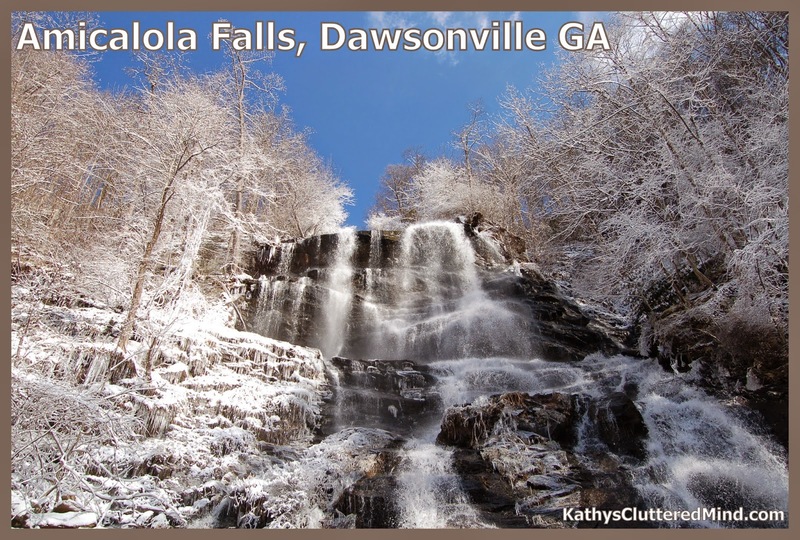 4) Amicalola Falls - Amicalola Falls which means "tumbling waters" is the highest cascading waterfall east of the Mississippi. Its seven cascades, drop 729 feet to the base. The spectacular scenery and hiking trails at Amicalola Falls State Park make this one of Georgia’s most popular state parks. There are 12 miles of trails at the park and several fascinating views of the falls so that everyone can easily experience their breathtaking beauty. The West Ridge Falls Trail is the easiest for most people because it's paved. This trail provides one of the best views too (photo above was from this trail). For a view from the top of the falls you can take the short connector trail or the staircase from the West Ridge Falls Trail. For a more strenuous hike there is the Appalachian Approach Trial which is a dirt hiking trail that follows the river and includes lots of stairs (it's lots of fun to hike in the snow). Be sure to check out the Appalachian Trail display at the visitor center too. 5) Radium Springs - The largest natural springs in Georgia are found just outside of Albany. This place is so magical. This natural spring pumps 70,000 gallons of clear, 68 degree water per minute from an underground limestone cave. In 1927 the Radium Springs Casino and Resort opened and visitors from all over flocked to this special Blue Hole. However the depression, fire and a couple floods resulted in the casino and hotel closing it doors. Up until the mid-late 90's the spring was a popular swimming place for Albany residents but due to the flood damage the state and local governments eventually took over the property in 2003. 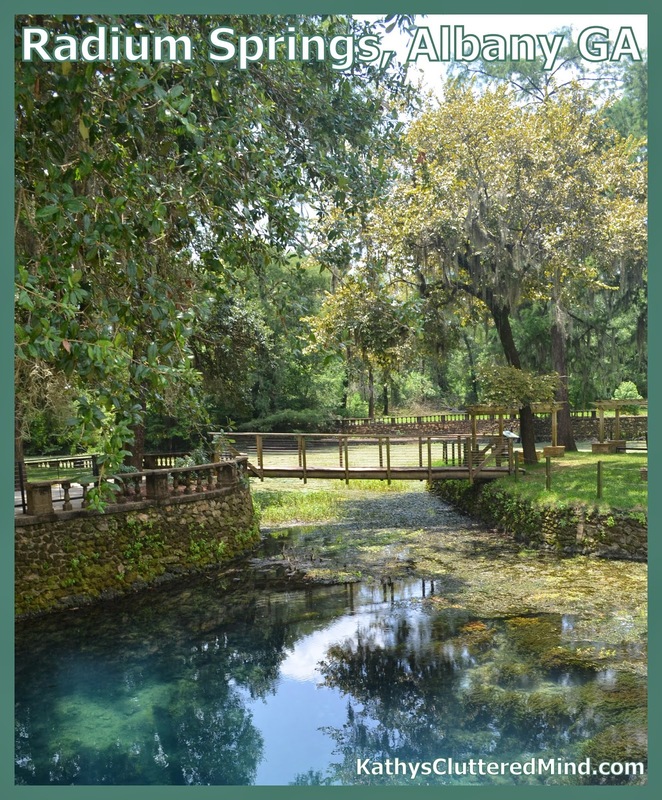 Thankfully in 2010 Radium Springs Gardens opened it's gates again so that visitors could enjoy this magical place. Though swimming is no longer allowed there is still much to see and do at this beautiful place which is FREE to visit. Part of the casino ruins still stand and have been converted into a butterfly garden area with ample seating and even public restrooms. There are walkways, interpretive panels, spectacular viewing areas, and gazebos around the spring. Enjoy a few hours or entire day soaking in the foliage-draped hillocks, crystal clear waters, and exotic flora and fauna. Read more about Albany here. 6) Providence Canyon - AKA "Georgia's Little Grand Canyon" is located in South West Georgia. The canyon was formed by poor farming in the early 1900's. Each year the soft, unconsolidated sediment canyon walls continue to widen. There are some gullies that are as deep as 150 feet. The views are absolutely breathtaking. There are three miles of trails, picnic areas, a playground and several hike in campsites. Besides offering an amazing geology lesson this park also offers some fantastic flora and fauna viewing. Did you know the rare Plumleaf Azalea only grows in this region? 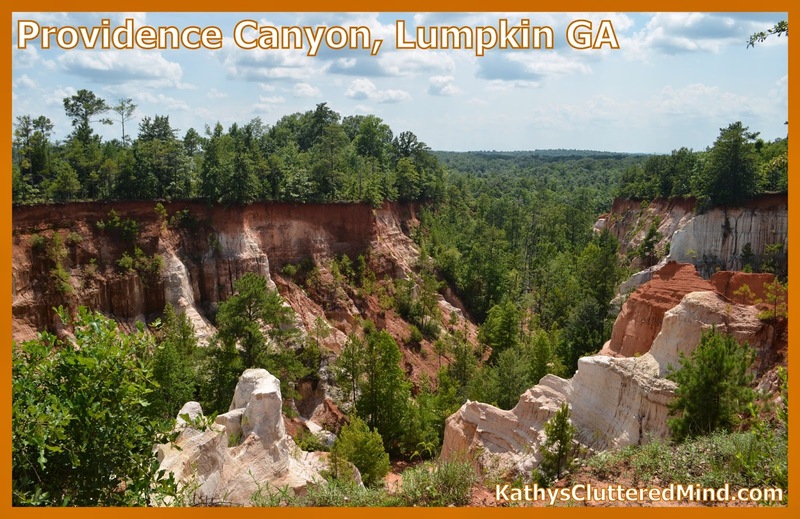 Providence Canyon State Park is a definitely a must see and I encourage a walk down to the canyon floor. 7) Tallulah Gorge - In Northeast Georgia sits a gorge that was once known as "the Niagara of the South." Tallulah, which means fearsome, originally described the waterfalls which used to rage through this part of Georgia. In 1912 though Georgia Power dammed the falls to create a hydroelectric facility. As a result the 2 mile long, 1,000 feet deep gorge is all that remains. This gorge is one of the most spectacular canyons in the eastern United States. 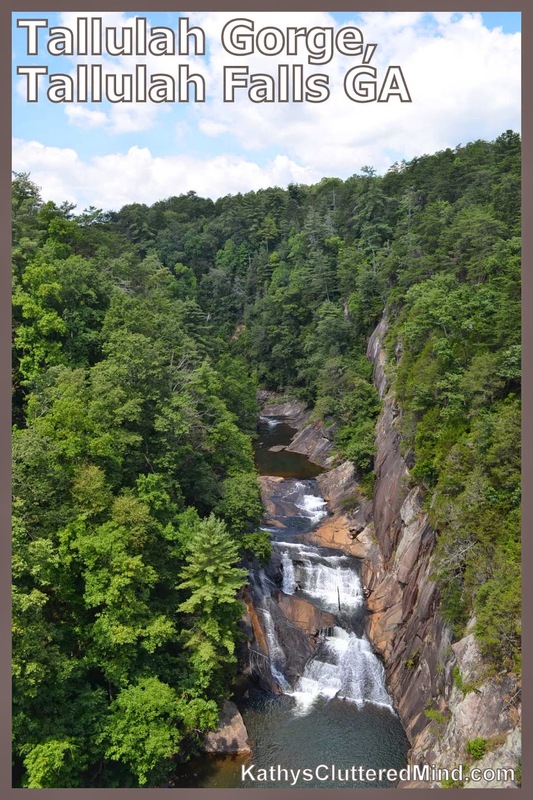 You can view the gorge best from the Tallulah Gorge State Park North and South rim trails which are moderate trails that offer breathtaking views, ample shade and resting areas. The suspension bridge that sways 80 feet above the rocky bottom is tons of fun and provides the best views of the Tempesta and Hurricane waterfalls. The bridge can be accessed by either rim trail, however I recommend the South Rim staircase because it has more resting platforms (it does have more steps though 347 to be exact as opposed to the 310 on the North Rim). Tightrope walkers have crossed the gorge twice and visitors can still see the towers used by Karl Wallenda. If you are feeling very adventurous you can get a free permit to explore the gorge floor (100 given out daily). Also at the park you will find the Jane Hurt Yarn Interpretive center which highlights the rich history of this Victorian resort town, as well as the rugged terrain and fragile ecosystem of the area. While you are on the trails be on the look out for the persistent trillium, monkey-face orchid and green salamander which are all protected species found within the gorge. 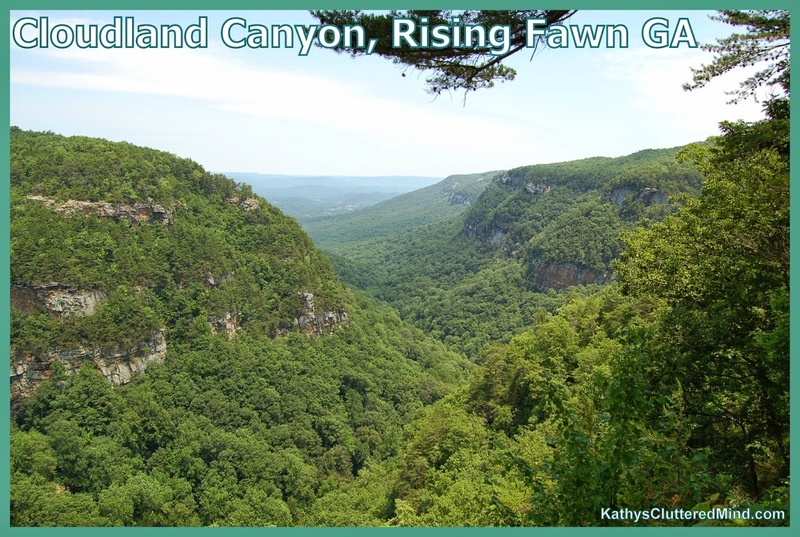 8) Cloudland Canyon - The Bonus Wonder - There is one more natural wonder that I feel needs to be highlighted. Call it the bonus 8th wonder. Cloudland Canyon is located on the western ridge of lookout mountain and is yet another spectacular natural wonder in Georgia. This canyon offers amazing rugged geology and exceptional hiking. The deep 800-1,980 feet gorge has been cut into the mountain by Sitton Gulch Creek. This park offers something for everyone including hiking, caving, camping, geocaching biking, horseback riding and more. An easy walk from the picnic area provides the most spectacular view into the canyon. But for avid hikers and adventure seekers you can explore the rim trail or travel the 1,200 staircase to the canyon floor (we did the stairs when my children were 4 and 5 yrs old). There are also two beautiful waterfalls that cascade over layers of sandstone and shale at Cloudland Canyon too. Since 6 of these sights are located in Georgia State Parks you may want to consider getting a Georgia State Park Pass. These passes start at $55 and will save you money if you visit the state parks often. The money from the passes also helps keep these beautiful parks in pristine condition. I definitely encourage you to add these Georgia 7 (I mean 8) Natural Wonders to your list of places to explore. You won't regret it! These are so awesome! I've pinned them and hope to explore them with my sons one day. Thank you for this detailed list. We live in Walton Co. and have never been to many of these places. These will make for great field trips in our homeschooling journey.